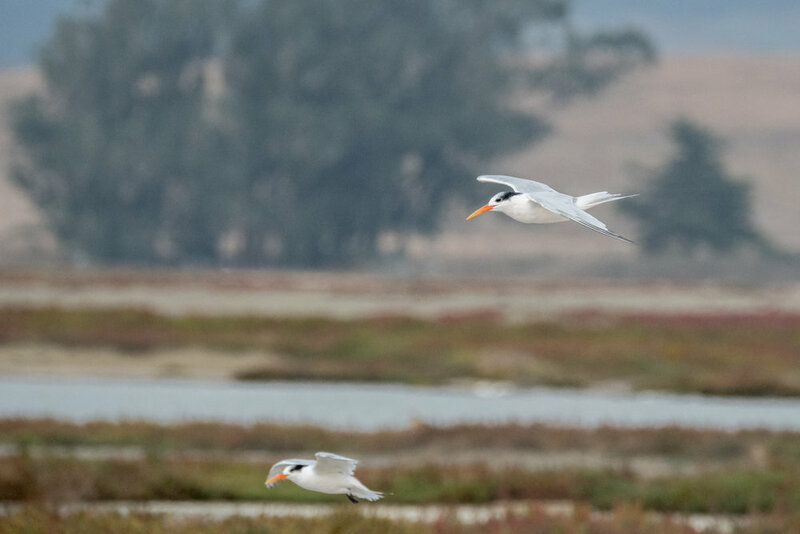 Recently there has been a spectacular display of Elegant Terns in the Moss Landing and Elkhorn Slough area. There are several varieties of terns and I was unsure about what types they were. However when I listened to a sample of what they sound like, it was obvious they were Elegant Terns. They migrate from Mexico along the west coast of California. More information can be found about them here. I often find them along Seacliff Beach in Aptos, practically in my backyard, although not in as many numbers as in the Elkhorn Slough area. On another note ... you are invited to my Open Studios on October 14 & 15. More information can be found here.